This Lunch and Learn, hosted by Kerry Boshers at Mt. 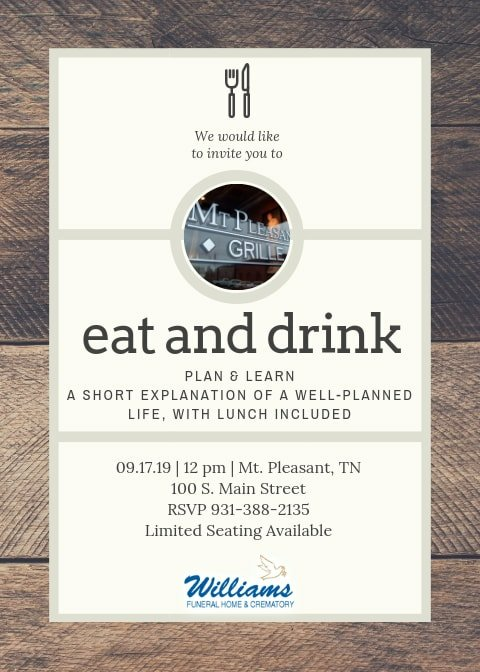 Pleasant Grille is a great way to spend an hour socializing and hearing a short description of what a well deigned life looks like. Have lunch on us at the Grille! Let us know your going we have limited seating available.